I have always made some version of the same cake for the Jewish New Year (you can actually see a recent version of it here). It’s easy, can be made in advance and is always a crowd pleaser. Yet the traditional dessert that I REALLY love is a honey cake. And I don’t discriminate either. Whether homemade, from a local bakery or (the horror!) out of a box, I am typically helpless to resist a slice of honey cake. Or two. But I never made my own. 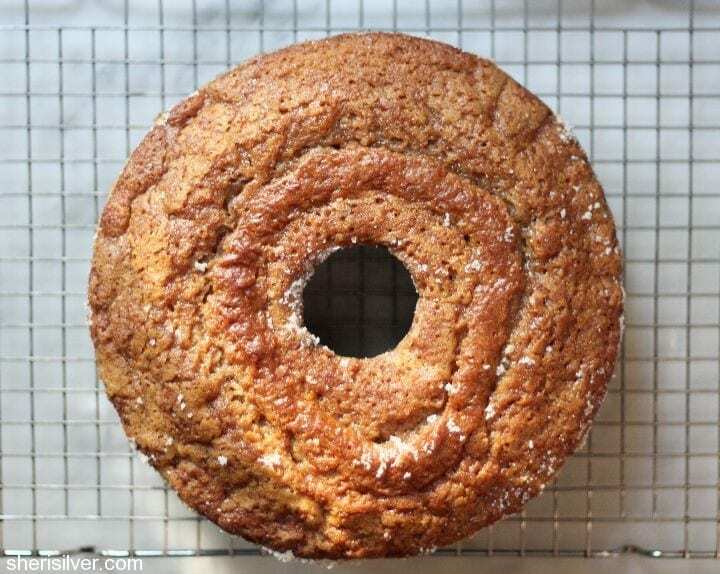 Till my dear friend Sandra posted a photo of HER honey cake (and the link to the recipe). 1. You probably have all of the ingredients you need to make this cake right now. 3. It is THAT good. Okay and “4” – I probably have some impulsivity issues when it comes to baked goods. If you like a moist, not-too-sweet cake, with a tender crumb and a bit of spice, then this is the cake for you. And if you are celebrating the new year like I am, I wish you a sweet and happy one. What are your traditional holiday desserts? Preheat oven to 350. 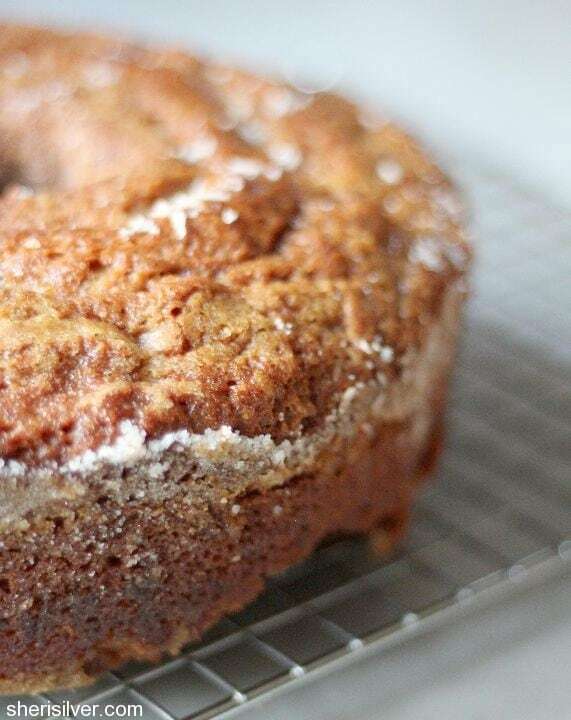 Brush a 12-cup bundt pan with 1 T. vegetable oil and sprinkle with 1/3 c. sugar. Place the flour, baking powder, cinnamon, baking soda, salt and cloves into the bowl of your mixer. Using the whisk attachment, mix on low speed for about 30 seconds. Add the beaten eggs, honey, 1 c. sugar, 1 c. vegetable oil and coffee – mix on low till ingredients are moistened, then increase speed to medium till just combined. Pour batter into your prepared pan and bake until a tester comes out clean, about 50 minutes. Cool cake in pan on a wire rack for 20 minutes; turn out onto rack to cool completely. Keep in an airtight container at room temperature for up to one week. Sandra’s quite the inspiration, no?? Thank you! I also immediately made this and will make this from now on for the New Year.